MONO INC. – LIVE oder Wir sind soweit! Die letzten Jahre waren turbulent. Rastlos, erfolgshungrig und auch ein bisschen naiv rasten wir von Stadt zu Stadt, von Studio zu Studio und von Interview zu Interview. Doch wenn man nie innehält, merkt man nicht, wie sich die Dinge um einen herum verändern. Aber zum Innehalten hatten wir doch keine Zeit! Bis zu diesem Abend in Texas im September 2014: die letzten Töne des neuen Albums „Terlingua“ waren gerade aufgenommen, als wir vier am Feuer saßen, den endlosen Sternenhimmel bewunderten und wir uns gegenseitig an die Anekdoten der letzten 10 MONO INC.-Jahre erinnerten. Wir erinnerten uns an einen Auftritt vor zwei (2!) zahlenden Gästen – 2009 in einer Bar in Braunschweig. Wir erinnerten uns an durchfahrene Nächte im Sprinter, wo wir uns mangels Budget für ein Hotel die Ladefläche mit unserem Equipment teilen mussten. An eisige Backstage-Räume, gefrorenes Bier und das schlechteste Chili con Carne unseres Lebens – damals in einem Club in Osnabrück. Eben an all jene kleinen und großen Desaster, Pannen und Probleme, wie sie wohl jede junge Band erleben und erleiden muss. JETZT sind wir soweit! Lasst uns endlich diese „verdammte“ Live-DVD machen! 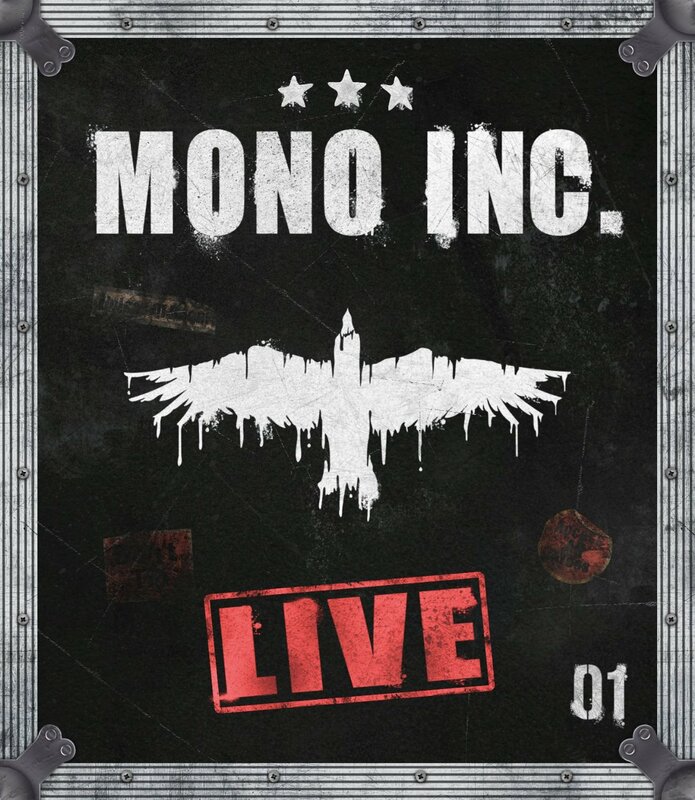 MONO INC. – LIVE or We are ready! Someday it will happen, but we are not ready yet. We did not hesitate for distrust of our performance or our playing abilities, we simply felt too young and too verdant for this step. A live DVD? Only the big and established bands are releasing DVDs – bands, we have always looked up to. No, we felt a far cry from ready! Recent years have been turbulent. Restless, hungry for success, and also a bit naive, we raced from city to city, from studio to studio, and from interview to interview. You fail to realize how things around you change, when you never stop, even for just a moment, but there was no time for that. Until that fateful night in Texas in September 2014: the last notes of the new album „Terlingua“ had been recorded, as the four of us sat around the fire, admiring the starry, endless sky and sharing stories from last ten years of MONO INC.
We remembered a gig with a mere two paying guests back in 2009 in a little pub in Brunswig, Germany. We remembered nights we drove non-stop in a van, sharing the cargo hold with our equipment as the budget would not allow for a hotel. We remembered an icy backstage, frozen beer, and the worst chili con carne of our lives, back then in another small club in Osnabruck, Germany – precisely those hardships and challenges every young band has to endure. But we also remembered our first Top 10 album in the German charts in 2012 and the subsequent tour through larger venues. In retrospect, the album „After the War“ was likely the so-called breakthrough, as we have proudly witnessed every MONO INC. album since reach the Top 10 and somehow the venues didn’t shrink either. Slowly, it began to dawn on us, that the statement „we are not ready for a live DVD, yet“ no MONO INC. Fan would believe anymore. And neither did we! NOW we are ready! Let’s finally do this “goddamn“ live DVD!